Lois De Lannoy and Beth Masterson were teaching artists and directors of the Children’s Theater of San Diego, a summertime drama workshop organized under the auspices of the City of San Diego Recreation Department. 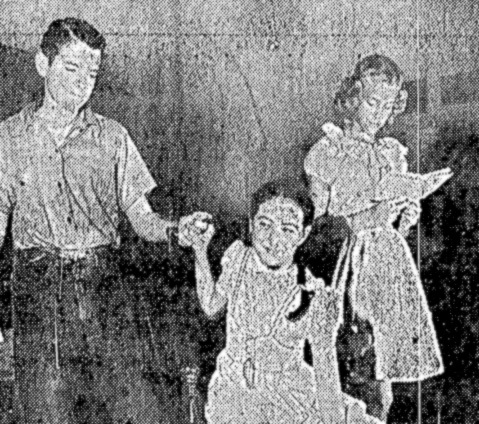 This project would later grow into the more formal organization known as the Junior Theater Wing of the San Diego Community Theater. Both De Lannoy and Masterson were members of the San Diego Community Theatre Players and the Little Theatre Players of La Mesa. Two short one-acts were put on at the Roosevelt Junior High School Auditorium, with a magic show by Children’s Theater alumnus Gordon Longfellow during intermission. Ten Percent Tommy, A Play in One Act, and Anne Gets a Break, presented through special arrangement with Baker’s Plays for Amateurs, Walter H. Baker, Boston. Productions sponsored in part by City of San Diego Recreation Department, and the City of San Diego.